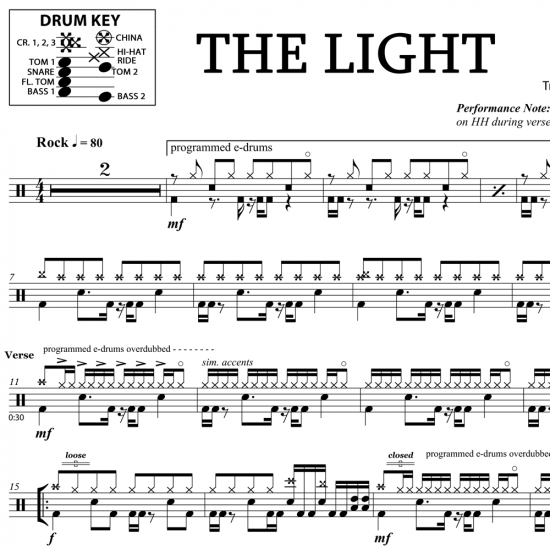 The full drum sheet music for “The Light” by Disturbed from the album Immortalized (2015). Mike Wengren lays a slick drum track complete with power-punch crashes, 32nd-note fills, and in-your-face beats. An overdubbed drum track is used in sections throughout the song. Overdubbed portions are identified on the sheet music. 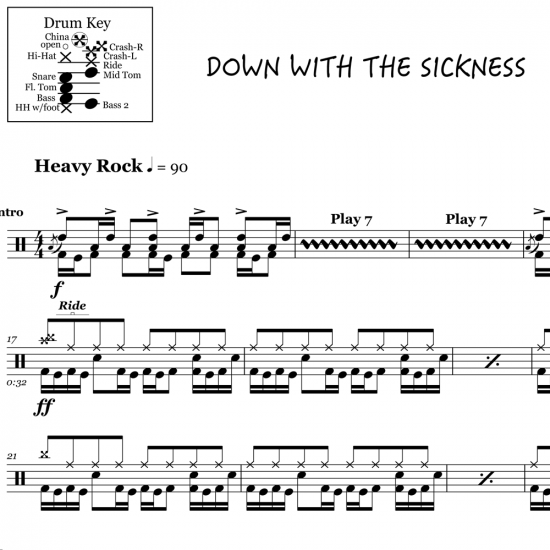 If you’re looking for a mean drum part, give this one a try! 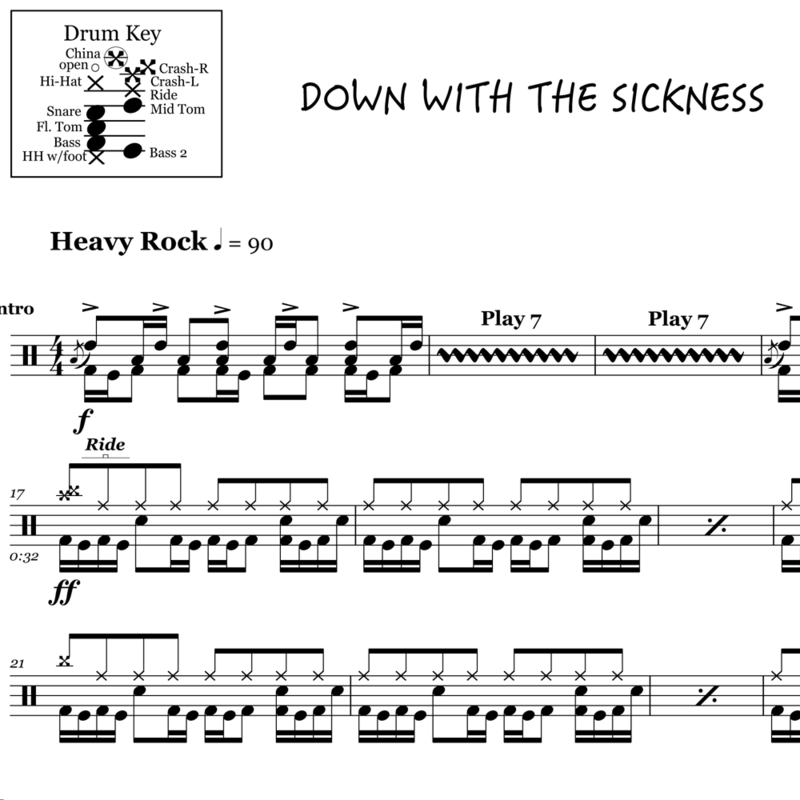 The full drum sheet music for "Down With The Sickness" by Disturbed from the album The Sickness (2000).